A typical protocol from some of the savvy online HRT physicians is 500 IU of HCG three times per week. Sometimes they will go a bit higher, which is something I discuss in my page on HCG Dosage. Again, although these 3 times a week protocols work reasonably well, they often don't seem to get the men back to feeling really good again. So what is wrong? It turns out that it may have to do with the relatively short half life of HCG, which is around 24 hours according to most of the sources I have looked at. There is a study on women that says it is around 33 hours. Regardless, the point is that after 48 hours, you have significantly less HCG in your system and so it probably results in quite the roller coaster ride. So what if one injected more frequently, i.e. daily? What would happen? That is the kind of description that I see with men on HRT that have a good experience: they are actually enthusiastic and ready to evangelize and take over the world. Why will daily HCG work so well for some men? Remember that HCG activates the enzyme that converts cholesterol to pregnenalone. This may be part of the reason that HCG stimulates libido and improves mood for some men. 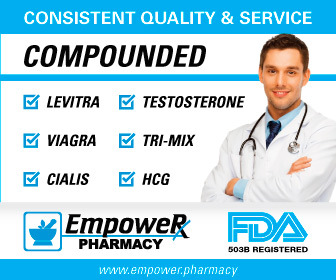 Men on HRT are actually often put on low dose HCG to stimulate libido just for this reason (at the HRT clinics anyway) and the fact that HCG will increase the volume of the testicles back to normal. b) Less ups and down in HCG levels and, therefore, testosterone and estradiol levels. c) The fact that it can be given subQ (subcutaneously) since it is usually a small volume injection. This makes it a perfect candidate for daily shots if one has the time and patience. Whatever the reason, a couple of sites are reporting good results for some men and so this may be a protocol to discuss with your doctor or clinic and try. I would guess that most doctors that allow HCG would be open to the idea, since it is clearly more physiological. A healhty male pulses out LH - and HCG is an LH mimic - in the early morning hours on a daily bases. Thus, daily HCG (or LH actually) is what the male human body is used to. WHEN SHOULD YOU TEST? JustAskin said that he heard that you normally stabilize within two weeks on this protocol. I know this is true with topicals and so, considering the fact that this also is a daily protocol, this makes a lot of sense. CAUTION: You may not want to inject in the late afternoon or evening. Some men report difficult in falling asleep with this protocol or even disturbed sleep.